Trust TOPMOST CHEMICAL & PAPER to offer the most extensive line of professional cleaning supplies, maintenance equipment, foodservice supplies and industrial packaging. In addition to carrying the most popular and well-known manufacturers in the JanSan industry, we are Triple S members and deliver the quality known of Triple S products. Unique formulations for cleaning, disinfecting, floor care, skin care, and other assorted specialty cleaning and maintenance product from BETCO. 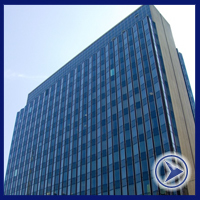 Chase manufactures a full line of aerosol cleaning products including DfE propellant-free cleaning products. Clorox is a trusted name in cleaning and disinfecting products for the jansan and infection control industries. 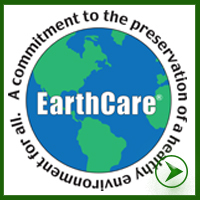 Environmentally preferable, reduced toxicity cleaning solutions and support equipment, including patented and EPA registered hydrogen peroxide technology. Fresh Products offers professional strength odor control and hand care products, including blocks, liquids, gels, metered aerosols, absorbents, & dispensers. GOJO Industries, the inventors of PURELL, has been an industry leader in improving well-being through hand hygiene and healthy skin. Complete range of maintenance chemical products for washroom hygiene, industrial, institutional, food processing, and water treatment. Floor care equipment and products including commercial vacuums, deep cleaners, sweepers, and cleaning formulas from Bissell. CleanMax vacuum cleaners have commercial cleaning performance with ergonomic grips, easy-access clean-out ports and HEPA filtration. KaiVac's No-Touch Cleaning® provices environmentally-friendly cleaning products that remove the maximum amount of soil and biopollution. NaceCare provides a complete line of equipment and cleaning programs for the commercial, healthcare/educational and industrial markets. 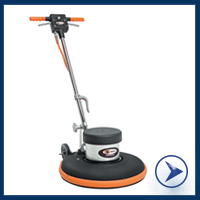 Commercial, backpack-style, hip-style, uprights and canister vacuums and attachments. 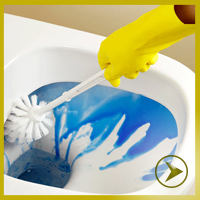 ProTeam's Team Cleaning results in reduction of labor and equipment costs. 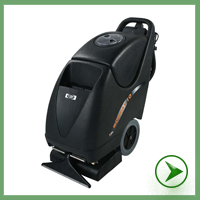 Sanitaire commercial vacuums and products are long-lasting vacuums with durability. Service parts are readily available and cost efficient. The Andersen Company meets all matting needs including 100% post consumer recycled, logo, and anti-fatigue mats. 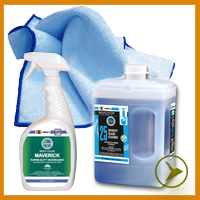 Continental Commercial Products offers a wide variety of floor care, janitorial, and foodservice cleaning products. Crown Mats offers mats and matting for all needs, including entrance mats, ergonomic and safety anti-static mats, logo mats and safety matting. Since 1936, Ettore is the leading manufacturer of the finest quality window cleaning, dusting, and janitorial products distributed worldwide. Malish Corp. has a line of brushes including floor machine brushes, concrete prep and polish system, push brooms, hand maintenance brushes, and specialty brushes. Nexstep (O'Cedar) offers commercial sanitary maintenance products, including mops, wringers, carts, and brooms. 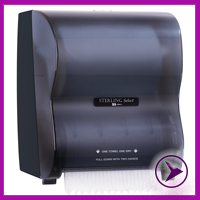 Georgia-Pacific Professional is a provider of hygienic dispensing systems, towels, tissues, soaps, air fresheners, wipers, cups, cutlery and napkins. 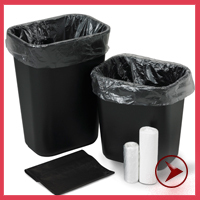 SCA Tissue offers a wide range of Tork(r) third-party certified, 100-percent recycled sanitary paper products and innovative dispenser systems.